Commercial Truck Accidents Truck Accident Attorneys - Greenberg & Strelitz, P.A. Commercial trucks can be seen navigating Florida roads and highways daily. These eighteen-wheelers are typically used to transport goods throughout the state and country. As one can imagine, the weight and size of these trucks far exceeds that of personal motor vehicles on the roads. 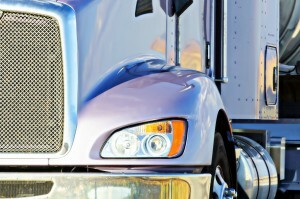 As a result, truck accidents are often times more serious, due to the combination of their size, weight, and speed. Given the volume of trucks on the road, crashes involving commercial motor vehicles, such as eighteen-wheelers, have increased by 12.28% from 2012 to 2013, according to the 2013 Florida Highway Safety and Motor Vehicles Traffic Facts Annual Report. The increase in accidents involving large commercial trucks are a significant risk to other drivers and passengers on the roads. Unfortunately, accidents involving trucks often result in catastrophic injuries and/or death of a loved one. Accidents involving trucks differ from those involving passenger vehicles because in addition to the traffic laws that everyone on the road has to follow, the trucking industry has an additional set of regulations and laws called the Federal Motor Carrier Safety Regulations (FMCSRs) which regulate many aspects of the trucking industry. Among other things, these regulation set forth rules regarding licensing requirements for truck drivers, limits on consecutive work hours for truck drivers, and insurance minimums that trucks must carry. The complexity of laws and regulations governing commercial trucks make filing a lawsuit stemming from a commercial truck accident more complex than a lawsuit arising from an accident involving personal motor vehicles. As a result, it is crucial for those injured or damaged in a trucking accident to promptly seek the help of qualified attorneys. Insurance companies rarely offer an injured party or their family the compensation they are entitled to. Therefore, if you and/or a loved one have been injured in an accident involving a truck, it is important that you promptly contact an attorney at Greenberg & Strelitz, P.A. A failure to obtain legal help immediately after a truck accident may result in critical evidence being lost or destroyed forever. Call to schedule a free consultation with the attorneys of Greenberg & Strelitz, P.A. at (561)361-9400. At Greenberg & Strelitz, P.A., we devote our time to helping injured people and their families. Remember, personal injury deserves personal service!